Locking Clamp lets you set an "in between" height that isn't at an even foot interval (for example, 9 feet 8 inches tall). 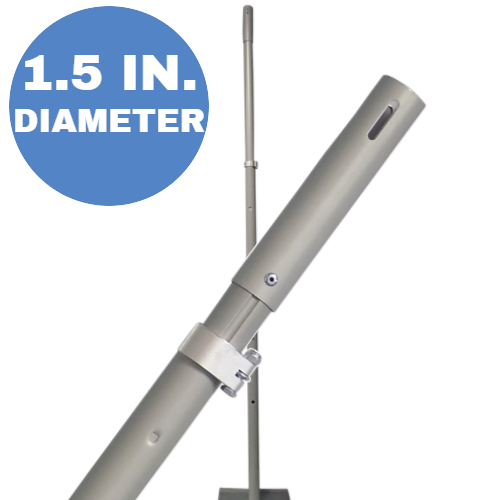 This 1.5 inch diameter silver Telescoping Upright is intended to be used away from high traffic areas, and with lighter weight drapes such as our Banjo or Premier. For high traffic areas, or for use with heavier drapes, we recommend our sturdier 2 inch Diameter version. The uprights are incredibly sturdy, and it's still amazing how tall they can become and not feel wobbly. The telescoping end is fitted with a quick release clap, but I haven't figured out the purpose of this clamp. Thank you for your review, Benjamin! 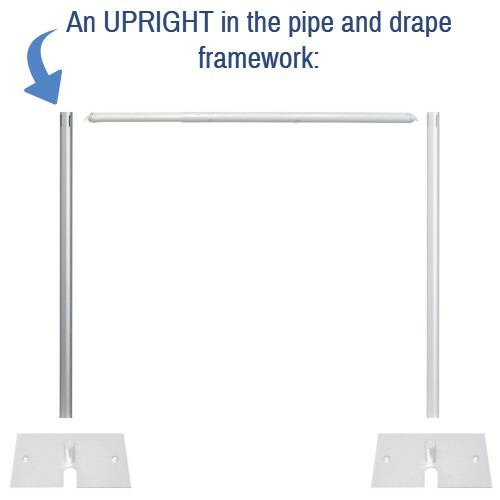 We're so happy to hear that the Uprights are perfect for your needs. The clamp is for setting these Uprights at a non-foot interval. 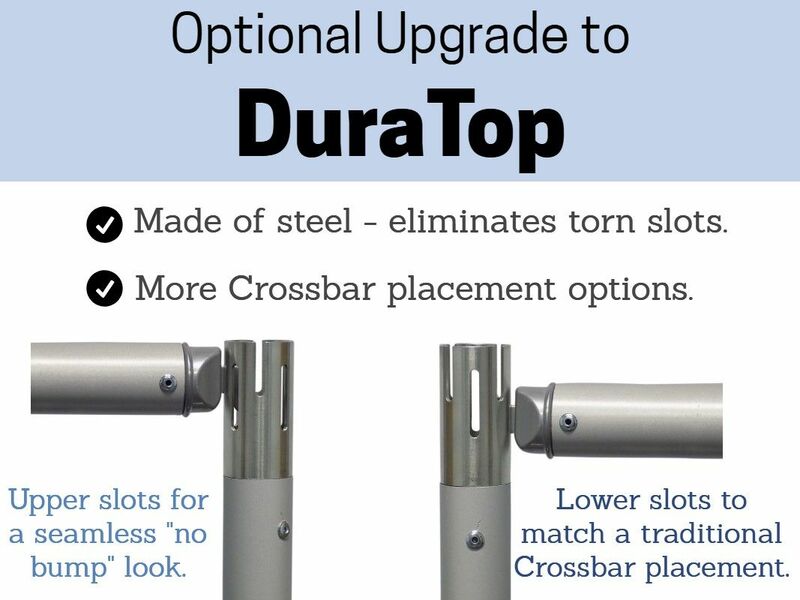 The button stop pops out at every 1 foot interval, but if you ever need to have a height that isn't at an even foot, such as 9 feet 10 inches tall, you can use the included clamp to set them to that height. If you have any questions, we're happy to help!